When, on 5 August 2014, Jan Lindeman (MD, PhD) passed away, we lost an excellent colleague, friend, and a beloved Edinburgh inspiring person. At the end of the 60s, Jan was trained as a pathologist in Leiden. In 1976, he obtained his PhD with a thesis on the morphology-based research entitled “Microthrombose en Fybrinolyse; een Pathologisch-Anatomisch onderzoek”. In addition to his diagnostic work, Jan was always active in scientific research. For example, during his PhD studies he was able to convince the scientists of the Gaubius Institute, Leiden, to develop antibodies against various hormones. 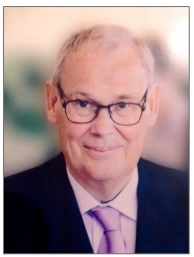 In 1976, Jan became head of the Department of Pathology of the Diagnostic Center SSDZ in Delft. Under his leadership, new techniques were introduced and a start was made with medical immunology. Moreover, the microbiology division became the first non-academic pathology division with an electron microscope, the molecular biology division was set up, and new research funds were obtained. Modern techniques were important in Jan’s approach to research and he was much admired. His work on the standardisation of diagnostic determination and the related costs structure for the health insurance companies was groundbreaking. Thanks to Jan, Departments of medical immunology was set up in Rotterdam and Gouda, among others. He started his own company for the production of diagnostic tests. This company developed into the present DDL Diagnostic Laboratory. At the end of the 80s, Jan moved to the Slotervaart Hospital in Amsterdam, where he worked until his retirement. Jan was erudite and an acute thinker with broad interests. He was always interested in new developments and enjoyed visiting foreign pathology laboratories. He was an excellent diagnostician and teacher. Although he sometimes had a sharp and uncompromising opinion, he always found a way to make one smile again with a beer and his laugh. In 2005, colon carcinoma was found. After complicated surgery, Jan stayed in hospital for months, finally recovering thanks to his iron will. Three years later, he died. His funeral took place on Saturday 9th August 2014.